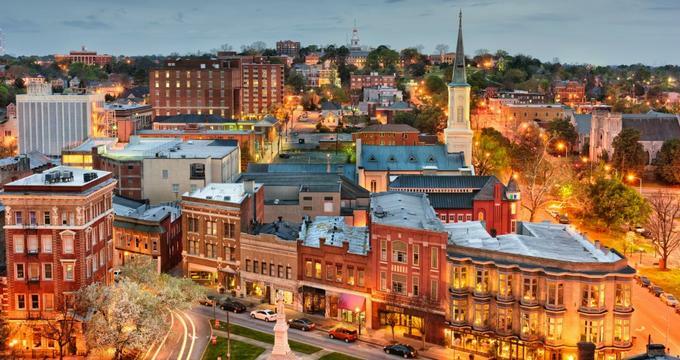 Macon, Georgia is a historic city with a relaxing and laidback vibe that makes for the perfect vacation. History runs deep here, with Native American artifacts such as the Ocmulgee National Monument, incredible examples of historic architecture such as the Hay House, and more. 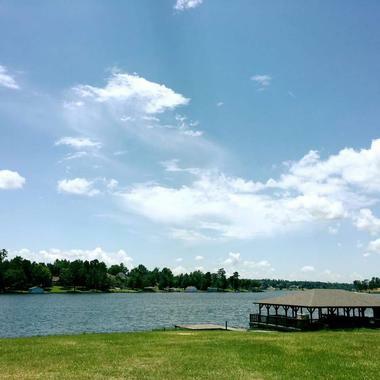 There are many beautiful parks and recreational areas in the Macon area as well, with highlights being the Lake Tobesofkee Recreation Area, the Ocmulgee River, and several municipal parks that offer endless options for recreation. Ocmulgee National Monument is a prehistoric Native American site that preserves more than 10,000 years of Native American culture. The site includes several major earthworks that were constructed prior to 1000 CE by native peoples from the South Appalachian region. The park has a visitor center with an archeology museum displaying various artifacts from the site. The museum provides interpretation of the artifacts as well as information about the prehistoric people who lived there. The center also shows an orientation film and has a gift shop while the park has 5.5 miles of walking trails. 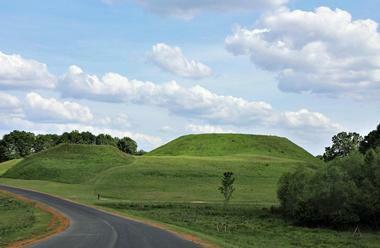 The popular Great Temple Mound can be reached by walking 0.5 miles from the visitor center. The Allman Brothers Band Museum is a house museum that honors and memorializes the Allman Brothers Band. The museum is also known as The Big House and was home to the band's original members, their families, and some friends from 1970 to 1973. The museum houses many of the band's archives and memorabilia, including artwork, instruments, hand-written lyrics, and more. Several of the rooms are set up to reflect the way they looked when the band members lived there. The museum has a gift shop that sells Allman Brothers Band merchandise, CDs, apparel, and a range of other gifts and souvenirs. 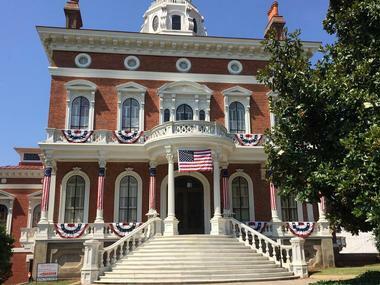 Johnston-Felton-Hay House, typically shortened to simply Hay House, is a historic home on Macon's Georgia Avenue built in the late 1850s in the Italian Renaissance Revival style. The house is 18,000 square feet and is beautifully decorated with items from the period as well as magnificent artwork. It is currently open for tours and private events. The home tours take approximately 1 hour and include the basement and first and second floors. Several times a year the museum offers special behind-the-scenes tours that include all seven of the home's floors, the wine cellar, several attic spaces, and the so-called Secret Room. 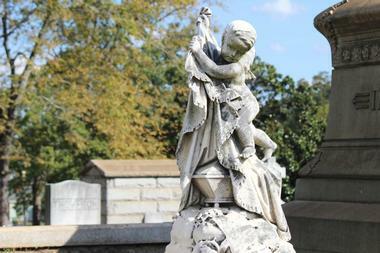 Rose Hill Cemetery is a historic cemetery on the banks of the Ocmulgee River on Macon's north side. The cemetery was built by Simri Rose in 1840 and was designed as a place for people to gather and visit. The cemetery was a popular hangout for the Allman Brothers Band during their early years and the band drew some of their inspiration from the grounds. Guitarist Duane Allman and bass player Berry Oakley are both buried in the cemetery, as are many important Georgia politicians. The cemetery is a part of Macon's self-guided walking tour and it is also the site of the Rose Hill Ramble, which is hosted twice a year. The Grand Opera House is a historic opera house and Mercer University's performing arts center. The opera house was originally known as the Academy of Music and when it was opened in 1884, it had the largest stage in the American Southeast. The theater was renovated and renamed the Grand Opera House in 1905. Historically, the venue has hosted many famous celebrities including Charlie Chaplin and the John Philip Sousa Band, Will Rogers, George Burns, Lionel and Ethel Barrymore, Bob Hope, Ray Charles, and the local Allman Brothers Band. 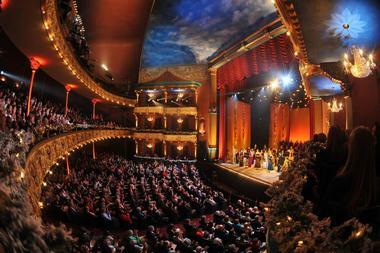 Today, the Grand Opera House hosts a variety of events such as Broadway shows, concerts, and theatrical productions. The Museum of Arts and Sciences is a community museum with four galleries offering a range of exhibits that change frequently. The museum's galleries include the hands-on Discovery House, several live animal habitats in the Mini-Zoo, a planetarium, observatory, garden, and nature trail. The museum store has a variety of merchandise for sale related to the arts and sciences. The museum is quite involved in community education and offers programs for schools as well as public programs in their on-site auditorium and classrooms. Short-run traveling exhibitions are frequently on display at the museum and may include art exhibits as well as other exhibits related to topics in the humanities and sciences. 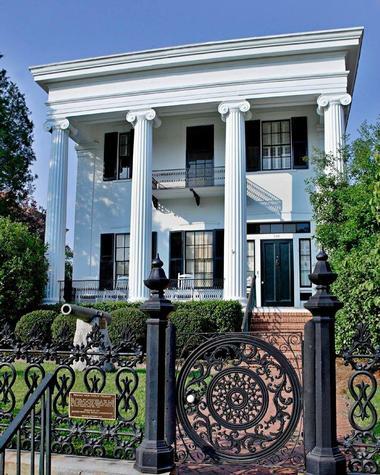 The Cannonball House is an 1853 home built in the Greek Revival style. The home was called the Cannonball House due to cannonball damage that it received during the Civil War. The home is decorated and furnished with period furnishings from the 1850s and features re-created meeting rooms of the first sorority, The Adephean Society. A bronze 1864-era cannon that was forged locally at the Macon Arsenal sits on display outside the home. Visitors can tour the home, including the servant's quarters, the brick kitchen, and the gardens. The gift shop sells a variety of products including books, jewelry, souvenirs, and locally made food items. Amerson River Park is a large park with nearly 200 acres of wetlands, forests, and meadows encircled by a u-shaped section of the Ocmulgee River. The park has 7 miles of trails that take visitors to high, scenic bluffs and overlooks that offer stunning views of the river and surrounding area. The park features a handicap-accessible playground that is specially designed for all children to be able to play. 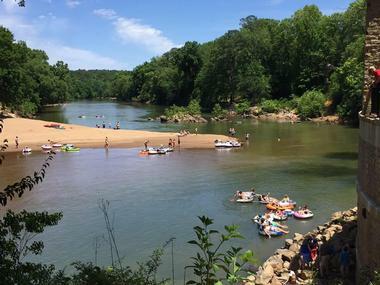 Visitors can explore the river itself by kayak, by canoe, or by floating in a tube. The Jay Hall Memorial Canoe Launch is a jumping-off point for canoers and kayakers as well as the starting point for a 2-mile tubing float. 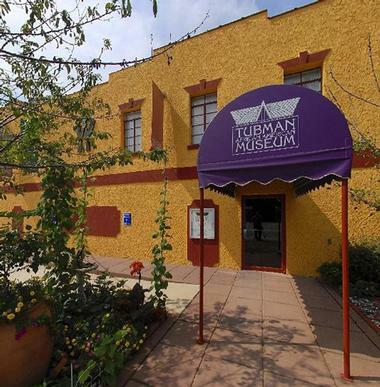 The Tubman African American Museum is an 8,500-square-foot museum that preserves and displays artifacts and documents from African American history and culture. The museum exhibits include a wide variety of African American art as well as other cultural artifacts. The museum offers a variety of educational classes and programs for the community, including dance, drama, drumming, and art and photography classes focused on African American culture. The museum often hosts special events, especially during Black History Month and the city's Pan African Festival each year. The museum store at the Tubman Museum offers apparel, gifts, and souvenirs as well as a selection of homemade goods and educational items. The Georgia Sports Hall of Fame is the country's largest state sports hall of fame encompassing 43,000 square feet. In addition to the hall of fame section of the space, there is exhibit space divided into sections that include various levels of sports such as high school, college, and professional sports as well Olympic and Paralympic sports. There is an exhibit dedicated to Great Moments in Georgia Sports History as well. The museum is very family friendly and has several interactive exhibits, such as basketball and football games and a NASCAR simulator. The building itself is an interesting structure and an attraction in itself as it is built to look like a turn-of-the-century ball park with a classic green roof and red-brick facade. 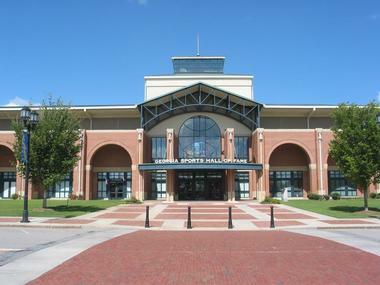 The Macon Centreplex is a multi-use arena and event venue in Macon. The Centreplex includes the 9,000-seat Macon Coliseum as well as the 2,700-seat Macon City Auditorium. 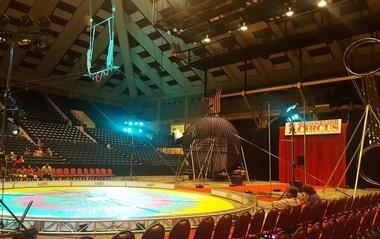 The arena has been used for a variety of sporting events and was the home to the Macon Whoopee and Trax Ice Hockey teams as well as the Knights arena football team. 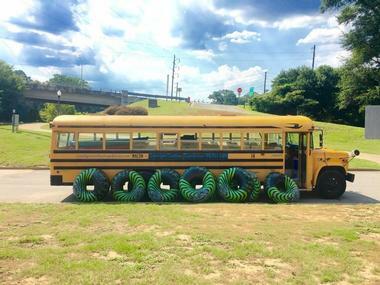 At present, its only regular sports use is by the Minor League hockey team, the Macon Mayhem. 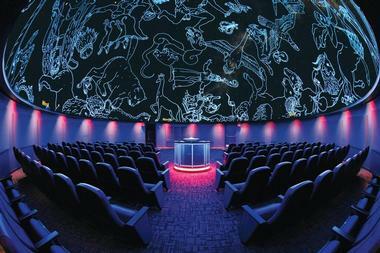 The Centreplex is one of the most premier venues in Central Georgia for trade shows, concerts, and other large events. A wide range of events are hosted at the Centreplex each year. 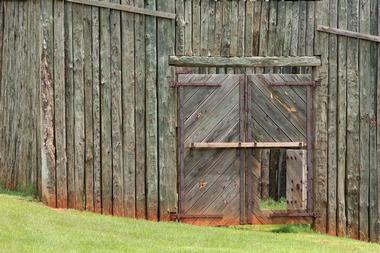 Fort Hawkins is a historic fort that was constructed in the early 1800s in the historic Creek Nation. It was used by the U.S. government until 1824 as an army fort and trading post for dealings with the Native Americans. The site overlooked ancient burial mounds that were an important sacred spot for the Muskogee Creek Nation. The site has been well-excavated and many artifacts have been discovered from the time the site was used as a fort. A replica of one of the blockhouses stands on the site, and there are plans to reconstruct more of the fort in the future. The site can be visited on self-guided tours. The Sidney Lanier Cottage is a historic cottage that is the birthplace and former home of famous poet Sidney Lanier. 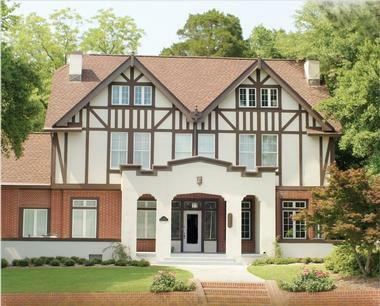 The home was built in 1840 and was later renovated in the Gothic Revival style. Today the home exists as a museum to the life of the renowned poet, musician, and soldier. 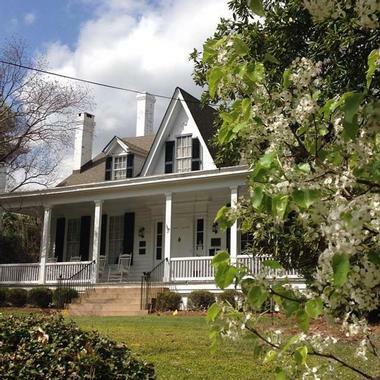 Visitors can take part in a guided tour of the museum-home and view items from Lanier's life. There is also a gift shop called the Sideporch Store, which sells locally produced items, historic maps, architectural books and guides, art, apparel, and souvenirs. The cottage is frequently used for special events and can be rented for weddings, bridal teas, corporate parties, and other occasions. Smiley's Flea Market is a long-running market with three locations across the United States. It was created to provide a place for the public to sell their merchandise to each other. The Macon facility has more than 100,000 square feet of covered shopping area and 40 outdoor stalls on a total of 30 acres. Visitors to the market will find an unimaginable variety of items for sale as well as refreshments and concessions offered throughout. Anyone is welcome to sell at the flea market; simply show up in time to snag a table and offer your unwanted items for sale. 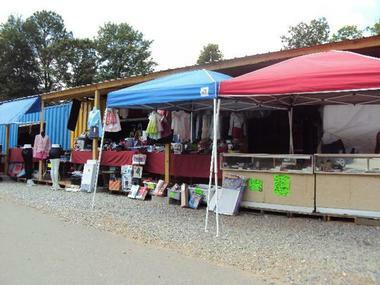 In addition to the Macon flea market, Smiley's has locations in North Carolina and Florida. 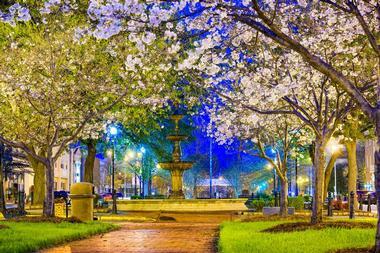 Tattnall Square Park is a large city park that takes up an entire city block. The park is located across from Mercer University and amenities include picnic tables and a pavilion, a playground for children, and plenty of shade underneath the old, massive trees. The picnic pavilion can be reserved for private parties and events. Sports facilities include public tennis courts and a field for a pick-up game of soccer, football, or frisbee. The park is a popular public event space as well and in the summer there are many public movie screenings as well as a variety of festivals and other special events hosted in the space. 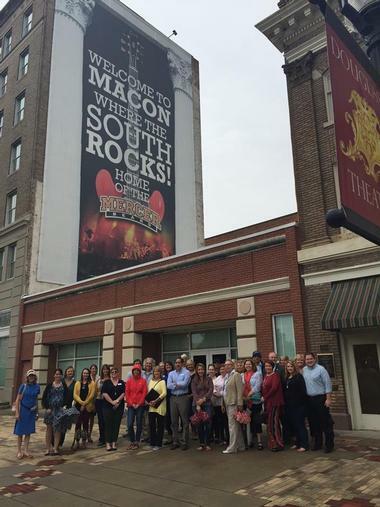 Macon Beer Company is a brewery and beer production facility situated in the middle of Macon's historic downtown. The brewery uses unique and innovative brewing techniques to create some high quality and interesting beers. 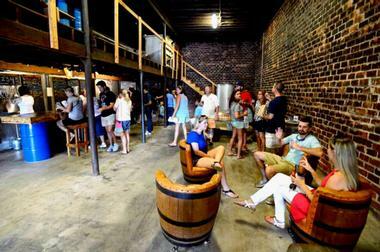 Each Saturday and every third Thursday, the brewery offers tours and beer tastings. Guests on the tours have the opportunity to meet the staff of the brewery and see the brewing equipment and process in action. Tour-goers can also sample a variety of flagship and seasonal beers, including some that can only be found in the tasting room. To commemorate the visit, each guest on the tour will receive a souvenir pint glass to take home. Lake Tobesofkee Recreation Area is a year-round recreation area located near the city consisting of 1,800 acres and providing a wide range of outdoor activities. The lake itself offers 35 miles of shoreline to explore. Visitors can relax on three sandy beaches and enjoy the water by swimming, boating, fishing, waterskiing, and more. There are campsites at two of the three parks located inside the recreation area and boat ramps, picnic areas, sports fields, and playgrounds are available as well. For even more family-friendly fun, check out the Sandy Beach Water Park inside the area's Sandy Beach Park. 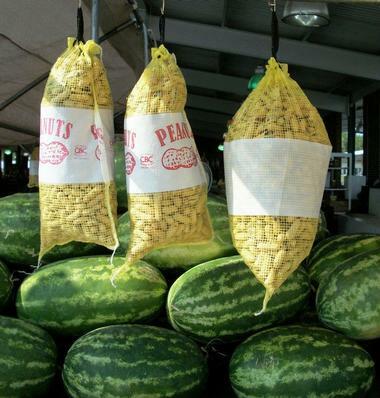 The Macon State Farmers Market is a retail market that is open every day. The market has more than a dozen regular vendors that offer fresh produce for purchase. They also have two nurseries where visitors can purchase flowers, vegetables, and other plants. There are two restaurants on the grounds that serve soul food, delicious barbecue, pastries, and other baked goods. Additionally, the market's butcher shop is a great place to purchase fresh cuts of meat. During the holiday season, the market has Christmas trees available for purchase. In addition to a wide range of shopping and dining options, the market also has conference and classroom facilities at the onsite Bibb County Tag Offices. 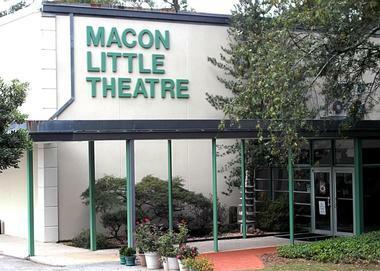 Macon Little Theatre is a community theater that hosts a variety of performances throughout the year. The theater has been in operation for more than 80 seasons and many talented community members have graced the stage at the theatre, providing the community with an opportunity to see fine stage performances and musical hits. They also host Broadway shows at a much more reasonable price compared to other theaters, making the shows accessible to a greater number of people. Many of their shows are family friendly and suitable for children and most are contemporary plays or fun, up-beat musicals.